I'm officially back...but where have I been? Hello, friends! Gosh, I can't believe it's been more than six months since I've posted. 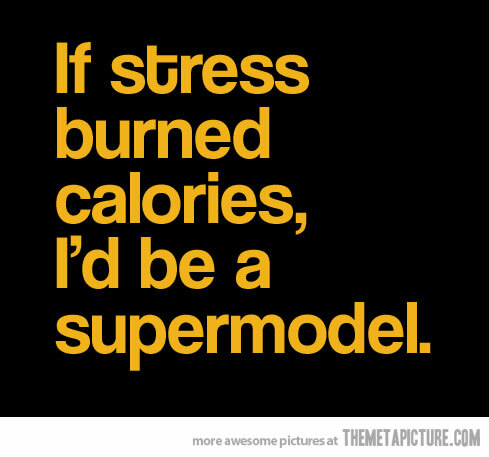 Rest assured, I have a great excuse. I've been a busy bee! 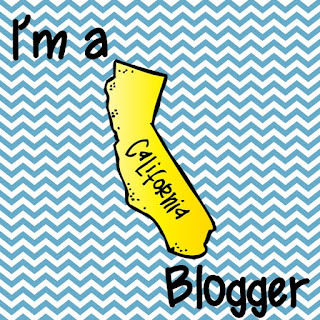 Here's a quick rundown of what's kept me from blogging. 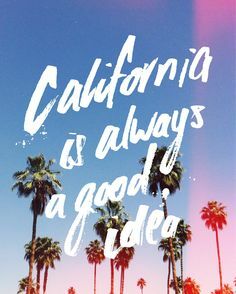 So, at the beginning of March, my husband received orders to report to Northern California by the end of June. We'd been in Virginia for almost 6 years, so we knew our time was coming to an end, yet we weren't expecting to report so soon. Needless to say, the time between March and June was crazy stressful. There was suddenly so much to do. That three months FLEW by, filled with planning, packing, and trying not to be a giant ball of stress the entire time. But, let me be clear that I was totally excited for this change, even more so because we were heading to sunny California! It seems that coast to coast moves are becoming my specialty, having moved from MA to WA in 2008, WA to VA in 2010, and now VA to CA in 2016. 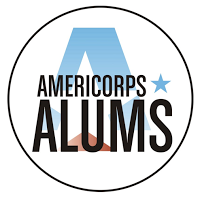 <--------- Is anyone else noticing that I keep moving to states that have abbreviations ending in the letter A? The month of June, as I now look back, was definitely the craziest of all. As soon as the year ended, the movers came to get all of our stuff and before we knew it, it was time to say goodbye to Virginia and the wonderful view we've had for the last six years. We did six days of driving across the country! We didn't have time to do much sightseeing since we were traveling with my two cats, but we did take in a few sights here and there. Here's a few pictures from along the way that you've probably already seen if you follow me on Instagram! Hello from Bonneville Salt Flats in Utah! Hello from two states, Utah and Nevada! Of course, my biggest concern was moving my two cats across the country again, as they've done all of my coast to coast moves with me and let's just say that they aren't big fans of travel. However, they actually did quite well, although they were total bed hogs, just ask my husband! 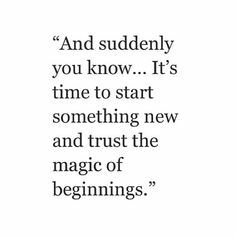 We arrived in California at the end of June, stayed on the base until we found a house to rent, and moved in to our new place on July 1st. Since then, we've been busy making our house a home and when that started to settle, I started to bring my things to my new classroom! 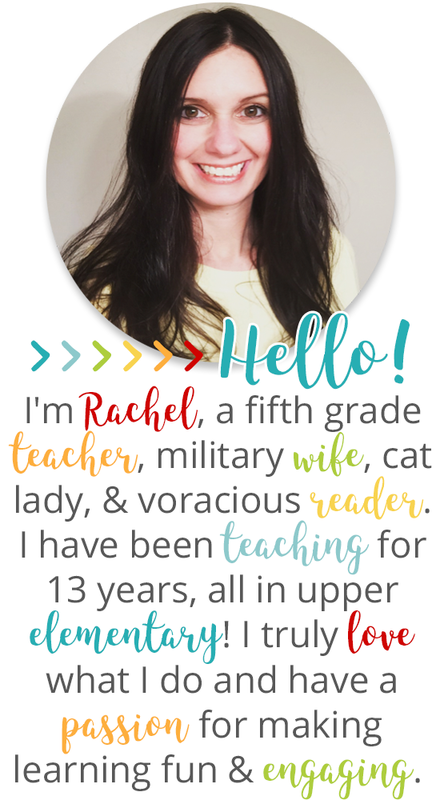 Yes, friends, I will continue my teaching adventures in fifth grade in California so my blogging focus will continue to be upper elementary. 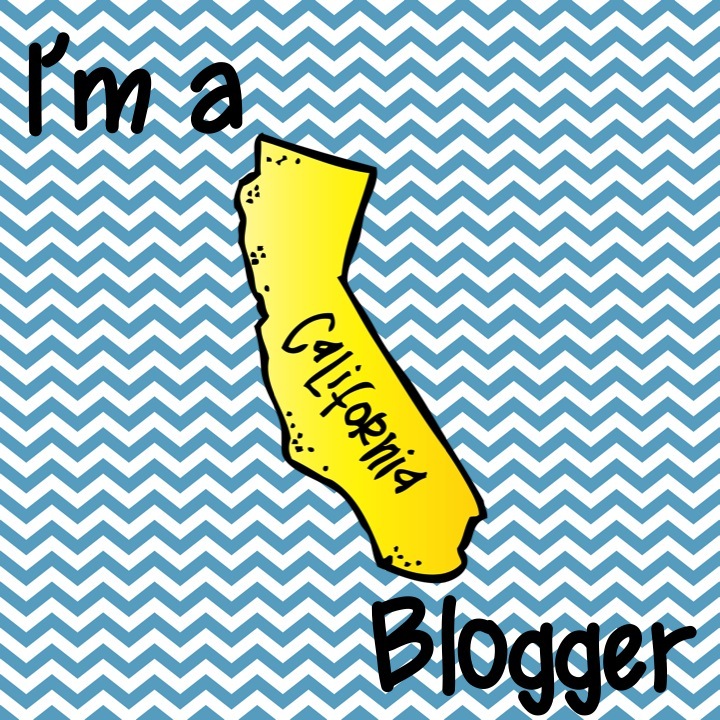 Now that I'm getting settled in, I hope to get back to more regular blogging. 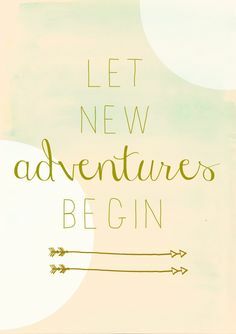 I've got lots of creations and ideas to share with you. Thanks for sticking with me during my time away! Until next time, I'll just leave these palm trees here for you to enjoy! See those clouds? Nope, neither do I! Well, my three-day weekend has officially begun and it's going to be a chilly one, but I have just the thing to warm you up! It's my annual Valentine! 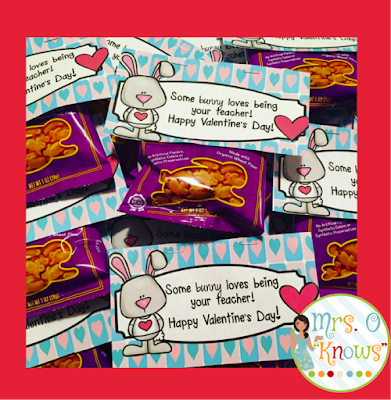 This year, I grabbed Annie's cheddar bunnies (one of my favorite snacks - extras for Mrs. O!) from Target. I made a cute bunny topper that I wanted to share with you! I used the blue and pink, but I did make two versions and included both in my freebie! 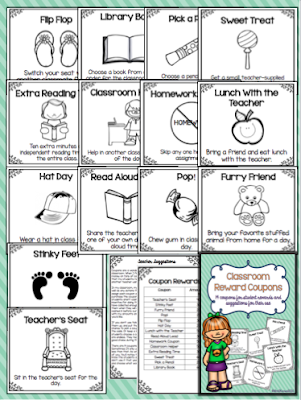 Click on the picture below or my freebies tab above to download this freebie. A Super Link-Up and Giveaway With Some SUPER Bloggers! 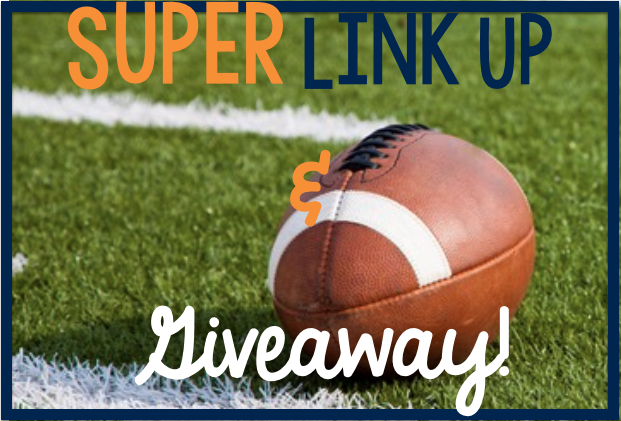 Today I am SUPER excited to link-up with some AMAZING bloggers for a SUPER Link-Up and Giveaway! Most of these awesome bloggers are in Colorado, so you know they'll be rooting for the Broncos tonight, and I'll be rooting for them here in Virginia, too! Of course, the great thing about this link-up is that everyone is a winner, regardless of which team you are rooting for! 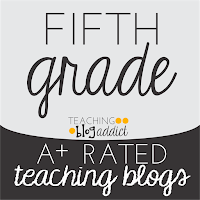 Each blog that is participating will be sharing a SUPER classroom idea and telling you about a SUPER classroom resource that they've created that you can win as a part of our amazing giveaway! What's that? You want to know more about this giveaway? Well, read on to find out more! If you're like me, one lesson is likely to include teacher notes, student notes, practice pages, games/task cards/hands-on activities, and homework. That can be a lot to keep track of! 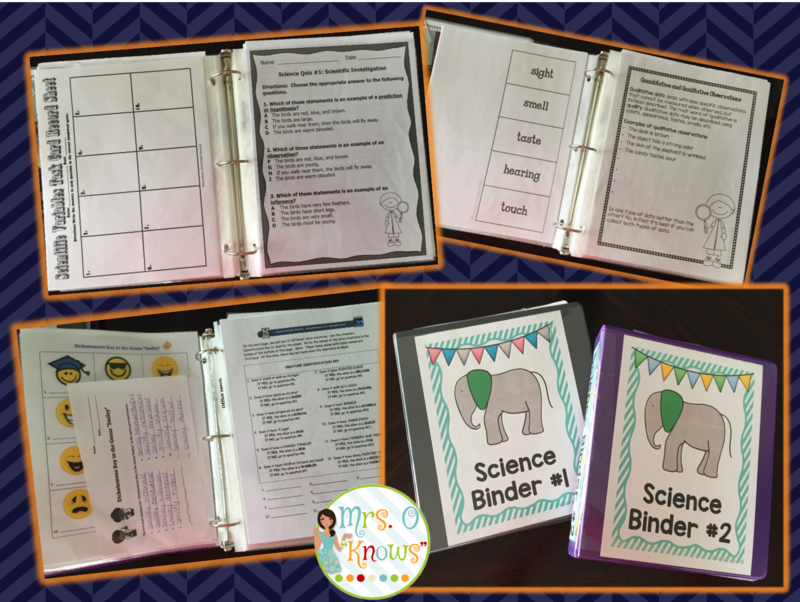 Last year, I decided that I wanted to get more organized and keep all of my resources together where they would be ready for me year after year. I wanted to be able to find everything I needed for a unit in one place. So I decided to use binders to organize everything I used for each lesson. I bought a bunch of sheet protectors and binders and worked really hard to put everything that I used in as I used it. This year, prepping for my lessons has been a total piece of cake! All I have to do is pull out my binder for each quarter and my resources are already there, in order and ready to go! When I'm prepping for the week, I grab my binder, head to the copier, pull out my originals, copy them, and put them right back in the binder for next time. I've already got all of my task cards and games in there prepped and ready to go! I'm no longer searching all over for what I need. 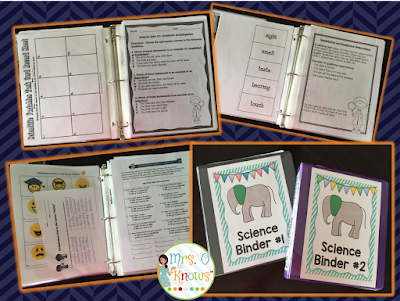 Plus, when I find something new that I want to add to my unit, it's easy to just grab a sheet protector, slide it in, and add it to my binder where it belongs. 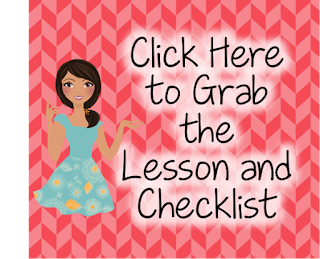 It's truly been a game changer when it comes to prepping for my lessons! 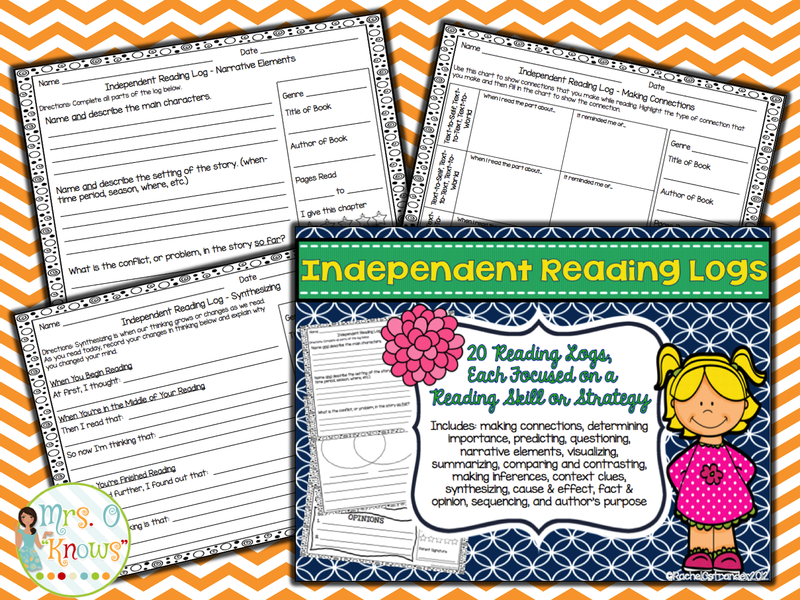 My contribution to our giveaway is one of best-selling resources, my Independent Reading Logs aren't your typical reading logs. These are focused on specific reading strategies and skills. I created these more than seven years ago after feeling like the reading logs that students were completing were a waste of my time and more importantly, theirs. It didn't help me to see if students could actually use the reading skills and strategies that I was teaching. 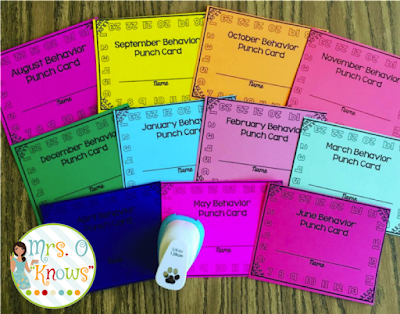 These allow me to see what areas students have mastered and which need more focus, which is really helpful when I am planning for intervention. Additionally, my students actually enjoy completing these. That makes them a win, win for everyone! Want to win this resource? They're just one of 18 resources that are a part of both our grand prize and runner-up prizes, which means you have three chances to win! Wondering what else you can win? Take a look at the SUPER prizes below and enter to win! 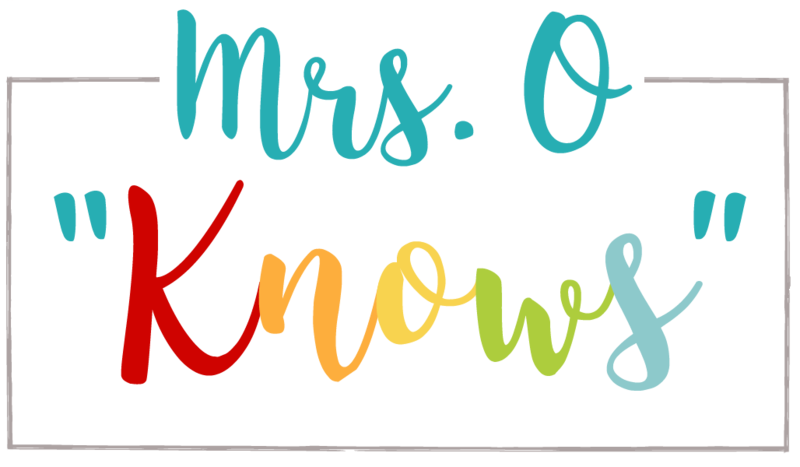 Don't forget to check out the other blogs participating in this link-up and see what wonderful ideas they have to share! First, I gathered my students on the carpet for a review of revising and editing. 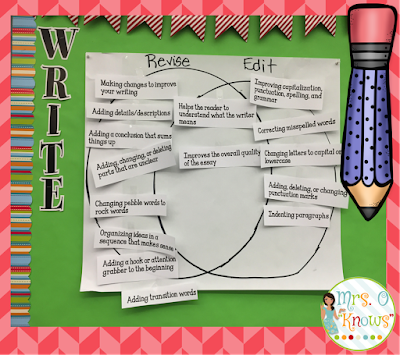 I found a few different venn diagrams as I was browsing on Pinterest and liked this one best: Revising and Editing Venn Diagram. After making a couple of changes, I typed the different statements out and cut them out separately. 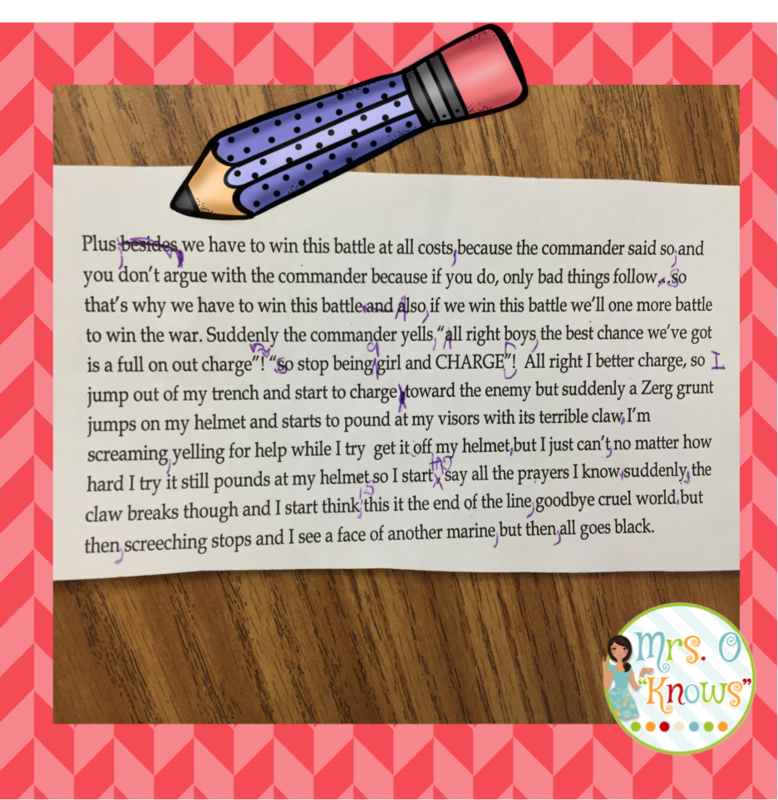 I read the statements one at a time, calling on students to come up and place each statement in the proper part of the diagram. 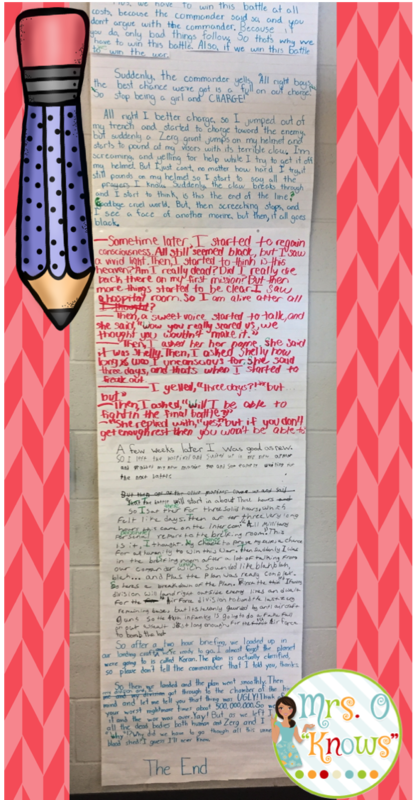 When all of the statements were placed, I talked about the writing process and how authors often revise and edit over and over before they love their final product. 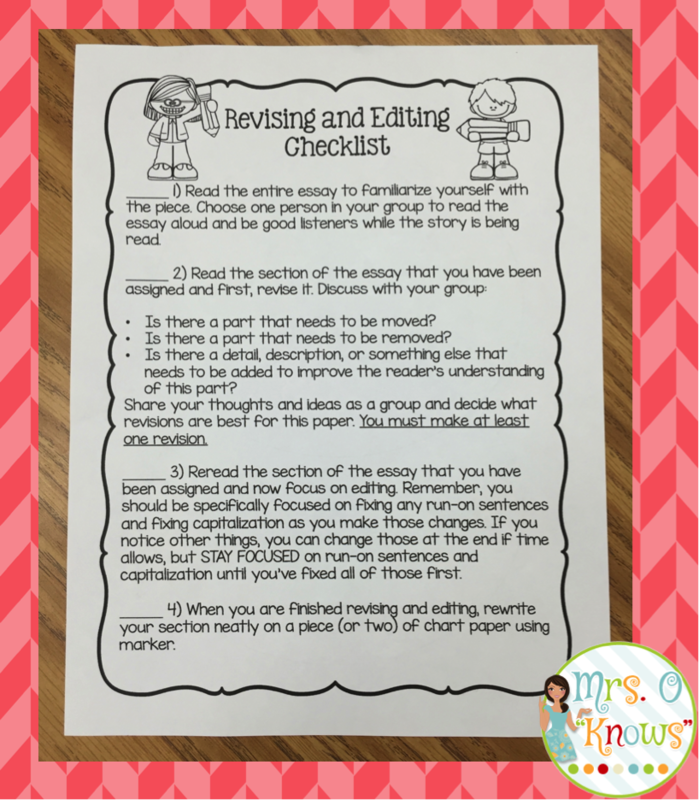 We discussed the reasons for revising and I reviewed the different parts of the writing that we edit. We call it CPiGS where I am, standing for capitalization, punctuation, indents, grammar, and spelling. Quick Reflection: In my lesson, I gave students a copy of the venn diagram and had them copy it down. In hindsight, this took quite a bit of time, and since I put the display up on my board, it wasn't really necessary. I wouldn't do that part again, so you can learn from my mistake! 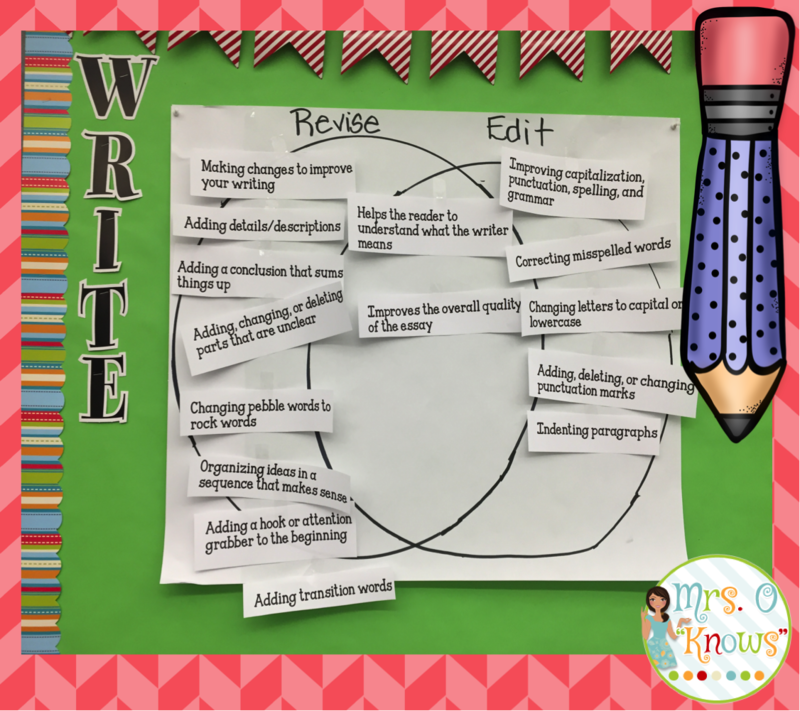 If anything, I might type up a completed venn diagram and have that copied and ready for them so that they can add it to their writing folder. After that, I told students that we were going to get a hands-on experience with a student author's work. I made a big deal of talking about how wonderful his paper was, but that I felt it could be even better with a bit of revising and editing. 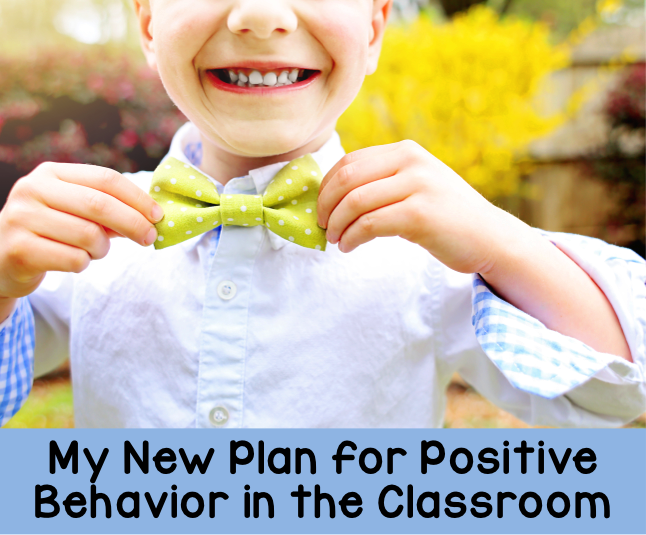 I wanted to be sure that this was a positive experience for all, and so I talked about being sensitive to the fact that the author was their classmate. 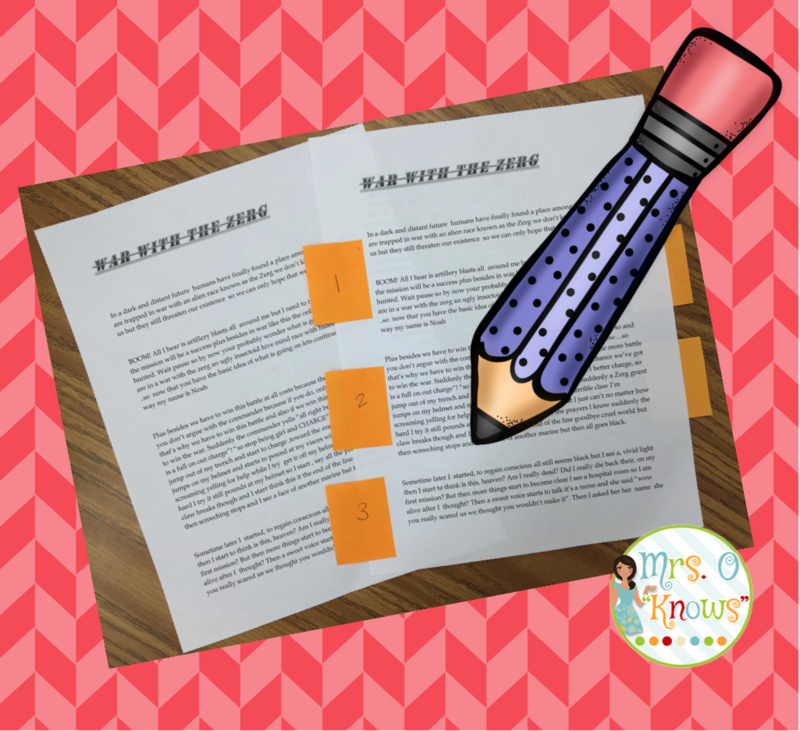 I then gave students specific directions for the lesson, a copy of the entire essay, and a section of the essay that would be their group's focus. 1) Read the entire essay to familiarize yourself with the piece. Choose one person in your group to read the essay aloud and be good listeners while the story is being read. 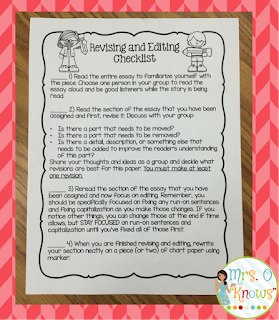 2) Read the section of the essay that you have been assigned and first, revise it. There may be something to move, something to take out, or something that needs to be added. Share your thoughts and ideas as a group and decide what revisions are best for this paper. You must make at least one revision. end if time allows, but STAY FOCUSED on run-on sentences and capitalization until you’ve fixed all of that. I am happy to report that my students were excited to do this! They worked in groups of three, each focusing on the section that they were given. They were engaged in their work as they revised and edited and their conversations were fantastic. 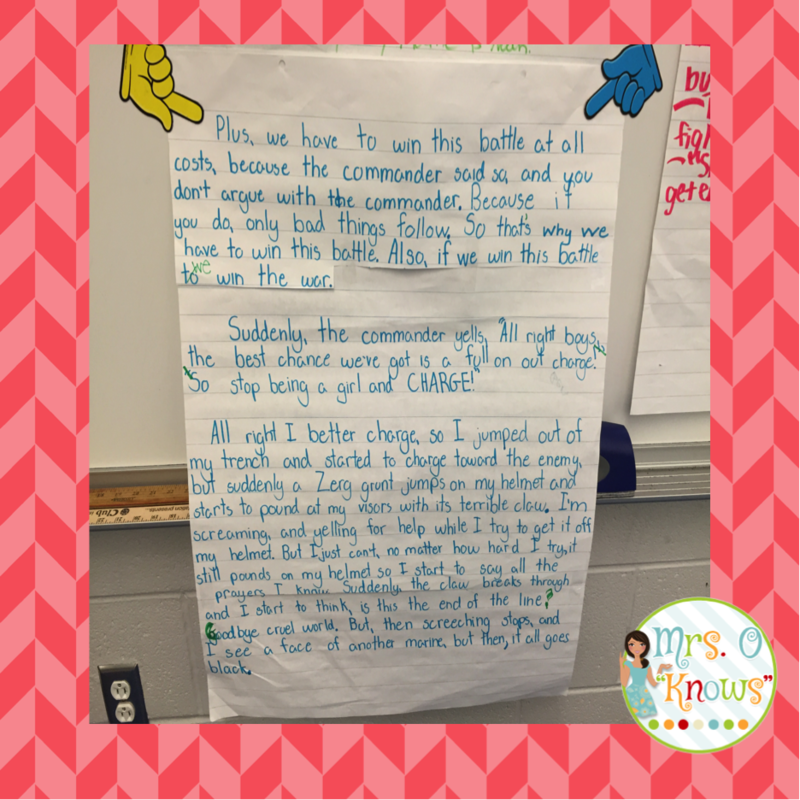 As they worked, I moved around to each group, discussing the different changes that they were making. I found that the checklist was really helpful in keeping them on task. It also helped that I planned the groups ahead to be sure that there was at least one focused individual in each group. As you might have guessed, the best conversation came from the group that the student author was in. He was his own biggest critic! When they were finished, the students rewrote their section on a piece of chart paper. 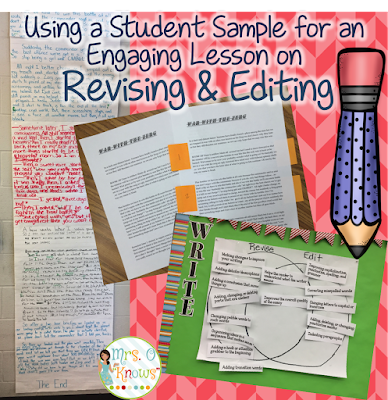 We placed the finished rewrites on the board and the students were able to gallery walk and reread the paper with improvements. They returned to the carpet, where they informed me that they had found even more places to revise and edit during their gallery walk. 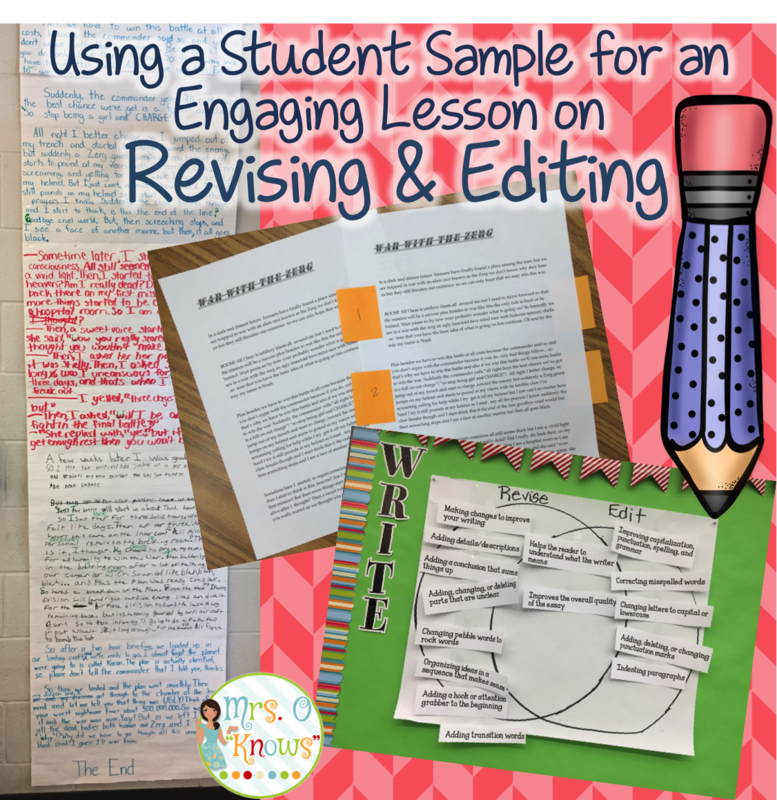 After the gallery walk, we discussed how their revisions and edits improved the overall paper and I pointed out that many of their corrections were things that I had mentioned to the student author in our conference as well. My goal had been to review revising and editing and help students to see the power in taking the time to make changes that will truly improve their writing and I believe that was achieved and so did my administrator. I'll definitely do this lesson again!